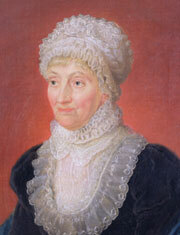 Caroline Lucretia Herschel was born in Hannover, Germany, on March 16, 1750. 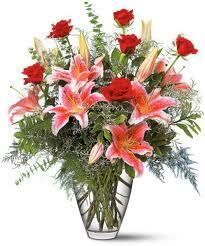 Her father died when she was 17, so she went to Bath to live with and take care of her brother, William. When William would conduct choirs or bands, Caroline would be singing in the choir. When William was studying Algebra and Geometry, Caroline would be learning Algebra and Geometry at his side. Caroline and William shared a very close relationship. Another one of William’s odd jobs was the making of telescopes, some that he would use to observe celestial bodies. It was during this period that Caroline began to take an interest in astronomy. Then, in 1781, William discovered the planet now known as Uranus, and in 1785, they moved to Windsor. There, Caroline was given a telescope by her brother, and she spent hours on end searching the skies for flying comets. The following year, William was appointed as astronomer to King George III and was granted a royal pension. Giving up his music career, he began to practice astronomy full time, with Caroline by his side. In 1786, Caroline and William moved to the “Observatory House“, the place where Caroline spotted her first comet, sometimes called “first lady’s comet.” Also in this year, William got married, and this dramatically changed Caroline’s lifestyle, although she never wavered from astronomy. Between the years of 1786 and 1797, Caroline spotted eight different comets, an exciting feat. In 1798, she wrote a book called Index to Flamsteed’s Observations of the Fixed Stars detailing many different stars in the sky. However, after this year till around 1822, Caroline gave up her astronomy and cared for William’s son. In 1822, tragedy struck when William died. Caroline moved back to Hannover away from him and once again picked up her astronomy. She created a catalogue of 2500 nebulae (plural of nebula, the birthplace of stars) and received a gold medal from the Royal Astronomical Society for her catalogue in 1826. In 1835, Caroline became a member of the Royal Astronomical Society and she and Mary Somerville became the first honorary women members. She also was elected as a member of the Royal Irish Academy in 1838. Caroline died in Hannover, Germany, on January 9, 1848. In 1889, a minor planet was named Lucretia in tribute to her. Filed Under: WOMEN of ACTION™, WOMEN of HISTORY Tagged With: advice, astronomy, BOOK, comets, education, inspirational., inspirations, people, prose, quotes, recovery, sayings, scientists, woman, women.